Apple is bringing Night Shift to macOS. Night Shift being a popular feature baked into iOS which lets you change the color of your screen depending on the time of day. Having added Night Shift to iOS in 2016, Apple is now bringing the feature across to your Mac too. There is strong evidence to support the theory that the artificial blue light being emitted from the screens we look at every day is affecting our sleep patterns. By staring at screens all day and night we’re screwing with the natural order of things. Our brains associate blue light, which is what you’ll see if you look up in the middle of a sunny day, with being awake. Blue light suppresses the production of melatonin, a hormone which prepares our bodies for sleep. So if you lie in bed reading your phone, you’re not exactly encouraging your brain to switch off and your body to relax Can F.lux and Night Shift Really Improve Your Sleep Habits? Can F.lux and Night Shift Really Improve Your Sleep Habits? Excessive use of computers, tablets, and smartphones can lead to deteriorated sleep quality -- but do apps like F.lux and Night Shift really counteract those effects? The science is pretty clear on this. Read More . While we could all agree not to look at a screen past a certain time, that’s unlikely to happen anytime soon. Thus, an alternative solution to the problem was needed. Cue apps such as f.lux, which allow you to fine-tune the color pallette of your screen to suit your sleep pattern. In 2016, Apple killed f.lux for iOS as a prelude to introducing its own version instead. Night Shift duly arrived with iOS 9.3, allowing users to adjust the hue of their screen at night. And now Apple is adding Night Shift to macOS too. Unfortunately, it’s not quite ready for public consumption. As first spotted by MacRumors, Night Shift is present in the 10.12.4 macOS Sierra beta currently being seeded to developers. A public beta will likely be released next week. Night Shift on macOS will, after dark, automatically adjust the display color of your screen to the warmer end of the spectrum Save Your Eyes When Working at Night on Your Mac Save Your Eyes When Working at Night on Your Mac On a Mac, you still need to rely on third party solutions to protect your eyes during nighttime hours. Fortunately there are a few great options available. Read More . Do you currently use Night Shift on iOS? Are you keen to use it on macOS too? Were you previously aware of the potential effects of staring at a screen at night? Will this make you reconsider using your smartphone in bed? Please let us know in the comments below! 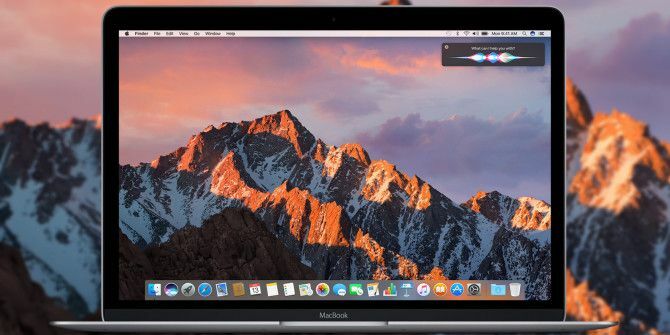 Explore more about: Apple Beta, macOS Sierra, Sleep Health.